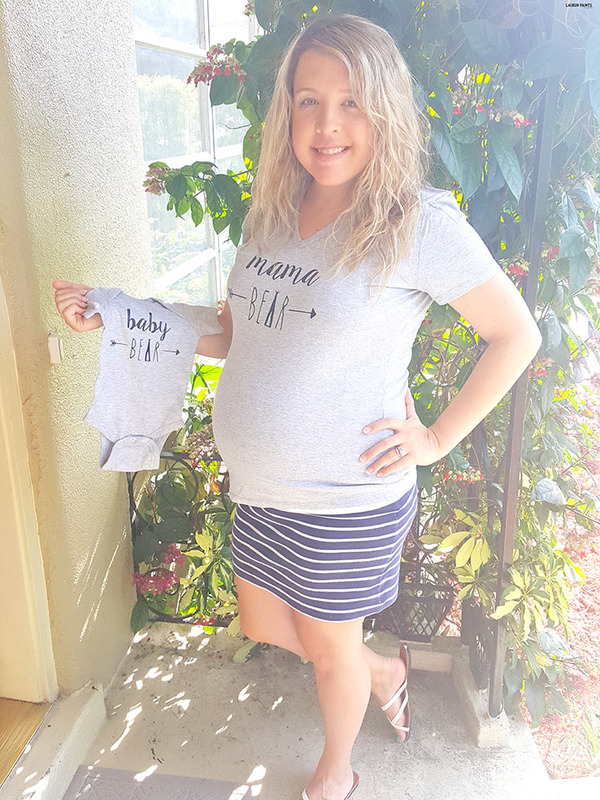 Thanks to Baby Bear Outfitters for sending over these cute pieces of clothing to include in my Baby Shower Gift Guide, regardless all opinions expressed below are my own. If you've been following the blog lately you may have came to the realization with all of the items I've been sharing that I'm a bit of a clothes hoarder when it comes to Delainey... but can you blame me with all of the cute items available for little girls? There's plenty of pink in her wardrobe and possibly WAY too much gold, especially if you ask my hubs... but I think she could use a few more items! 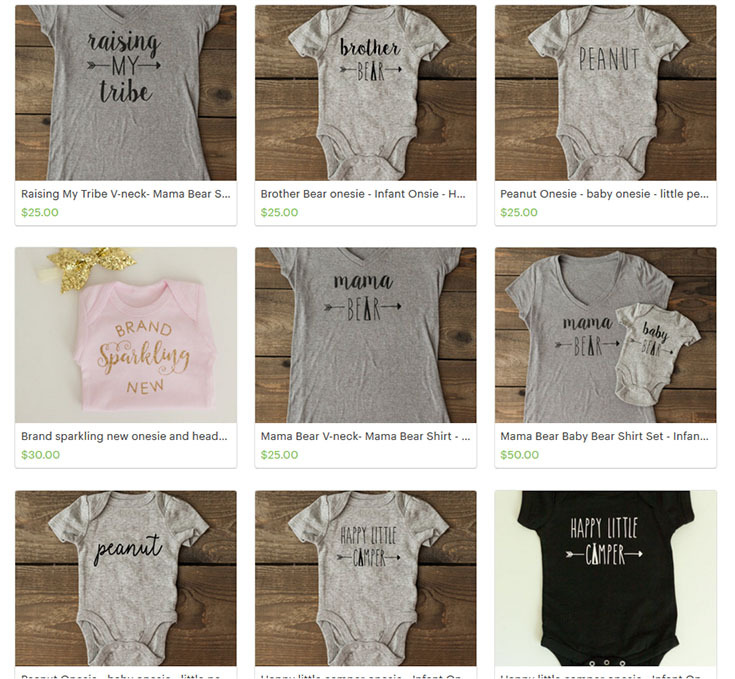 While she has such a great collection of clothing and it's all worth talking about, you really will understand my addiction to tiny pieces of cuteness when you check out Baby Bear Outfitters. 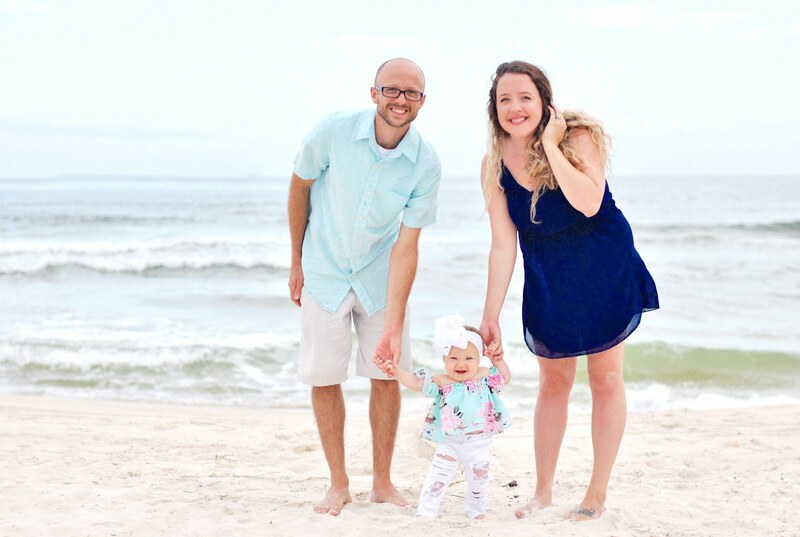 Let me warn you, you are going to want to snag a few pieces of clothing for your little one's wardrobe (or maybe the next bestie of yours that is expecting) - it's all so cute, you won't be able to resist! 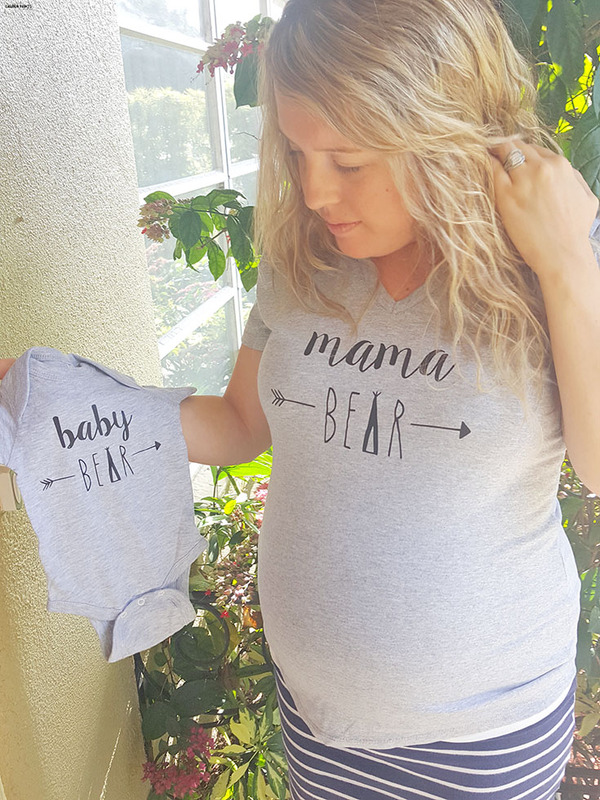 Baby Bear Outfitters offers a wide variety of everything adorable, so it was really tough to narrow down what to include in my gift guide! I finally decided a mommy & me set seemed like the perfect addition as well as a very special gown just for our princess to wear when she's "brand sparkling new" in the world! The mommy & me set from Baby Bear Outfitters is the perfect mixture of adorable and comfortable, everything a new mama & baby could want! This mama bear is in love with her new set and while my baby bear still has a little bit longer left in my belly, I'm so excited to have her rocking this adorable onesie in just a handful of weeks! I imagine these additions to our wardrobes will get regular use, because what could be cuter? Well, I think I know maybe one item in her wardrobe that is cuter... her "Brand Sparkling New" pink gown! This little beauty is going to be one of her first and most fashionable get-ups to wear once she makes her appearance in the world. With a gorgeous gold detail printed on a perfectly feminine gown, she will be the talk of the town once she arrives and dawns this beauty and I wouldn't want it any other way! Paired with a headband made to match, I'm in love with this super comfortable addition to her wardrobe and can't wait to share photos of her in it while we are at the hospital. 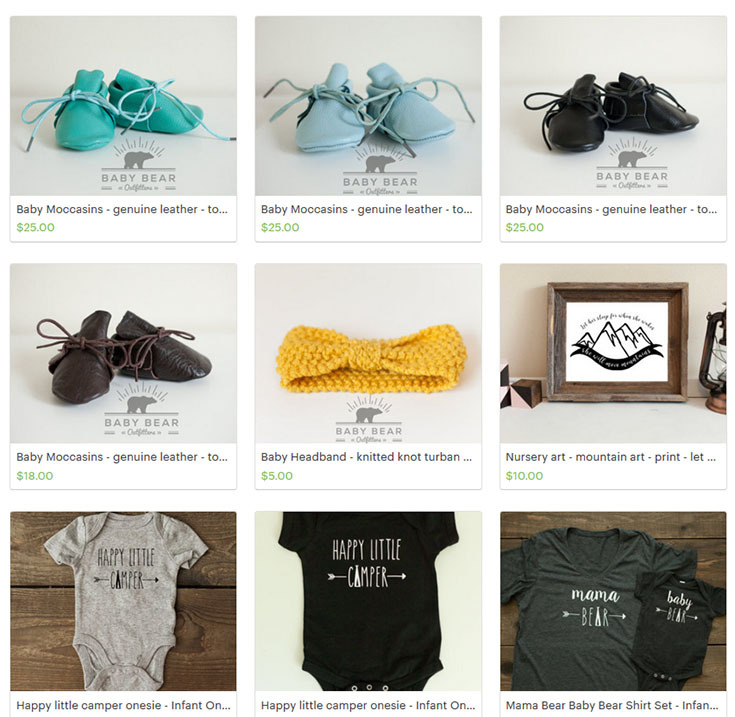 While these few items are just the cutest, I can't help but checking out Baby Bear Outfitters Etsy shop and planning what I'll buy little Delainey next. Chloe is the girl behind the shop and she's actually a wedding photographer based out of Utah who started her shop after making a few items for her little bundle of joy and the adventure of Baby Bear Outfitters began there. With her great love for the outdoors and a good adventure, her shop blossomed into the inspiring beauty it is today - full of creations made for people with a similar mindset. Plus, if you're looking for something customized, give her a shout - she's a creative genius capable of making your dreamy visions into a reality. So tell me, are you a mama on the hunt for an adorable outfit? Click on over to Baby Bear Outfitters and you'll find some of the most trendy and fashionable items to add to your little one's wardrobe. I'd love it if you let me know which item in her shop is your favorite in the comments below, it may just end up in Delainey's closet next!